Weddings are a truly personal reflection of a couple's character, and we like to reflect that in our events that we curate for our clients. Classic and elegant, or quirky and offbeat, we will work with you to provide everything to make your day extra special and unique. Drop us a line, we love a wedding! Cowgirls, Alice in Wonderland, Frozen. Just some of the many themes we've catered for. We know organising a children's party can be stressful, so let us design the food, drinks and decorations to make it a party to remember. 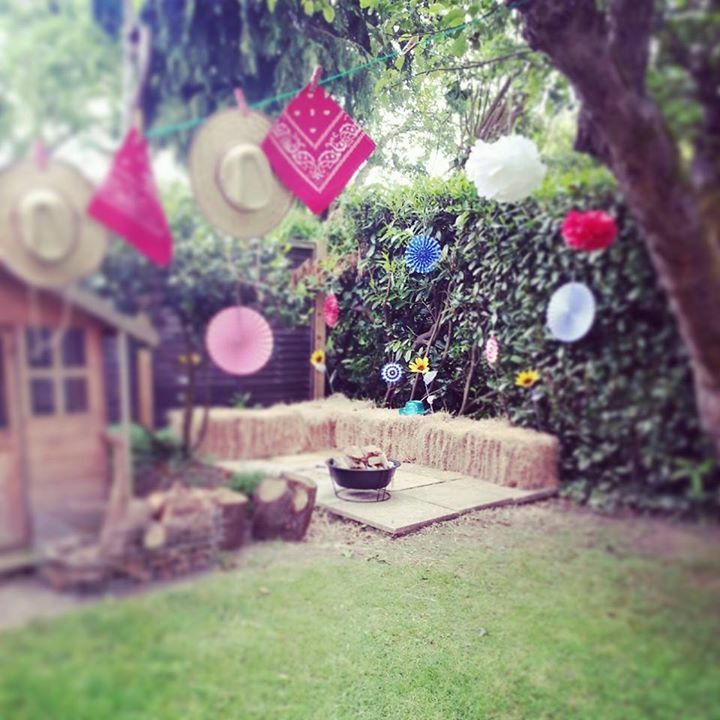 We were given the brief to create a vintage style cowgirl party in a garage and garden setting. So we went all out and brought the Wild West to Hartley Wintney. 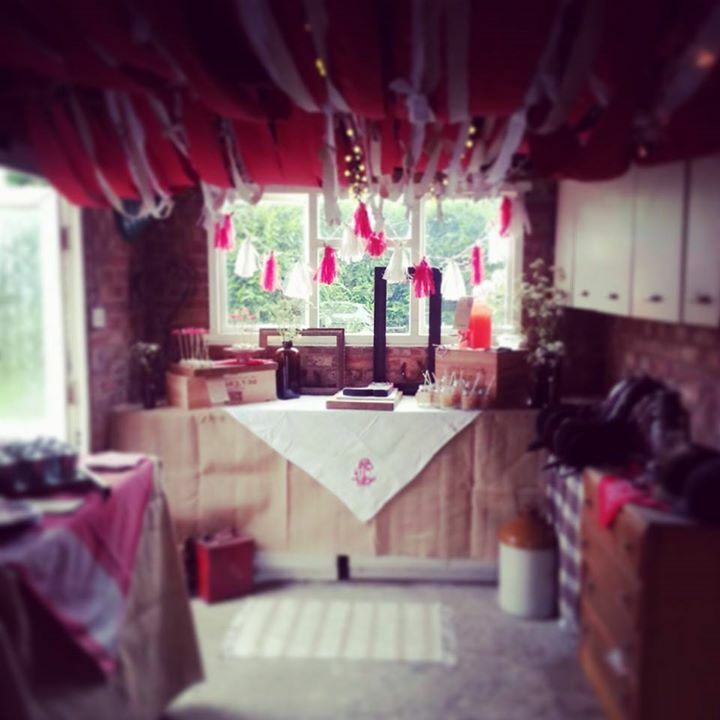 We provided tassel garlands, vintage props and a rustic canopy to transform the garage. The garden was tastefully decorated with red and white pom poms, straw bales for seating and even a rocking horse! We worked with the client to provide a menu that would go down a treat with the birthday girl. Including potato salad served in miniature buckets, corn on the cob, and southern style beans. 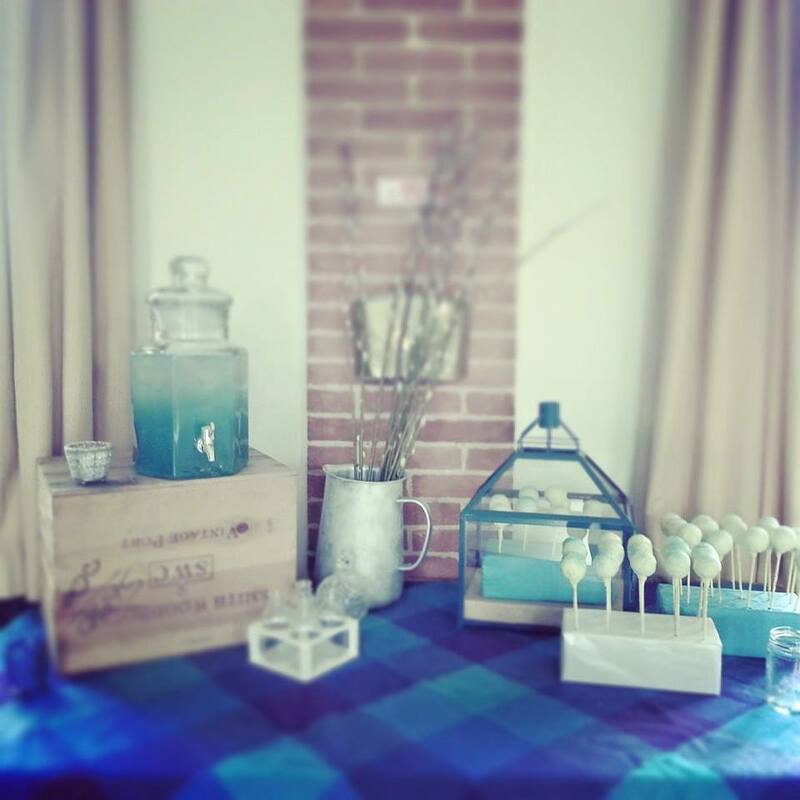 For sweet treats we provided white chocolate cake pops, red and white striped jelly with fruit and traditional smores toasted over our fire pit. 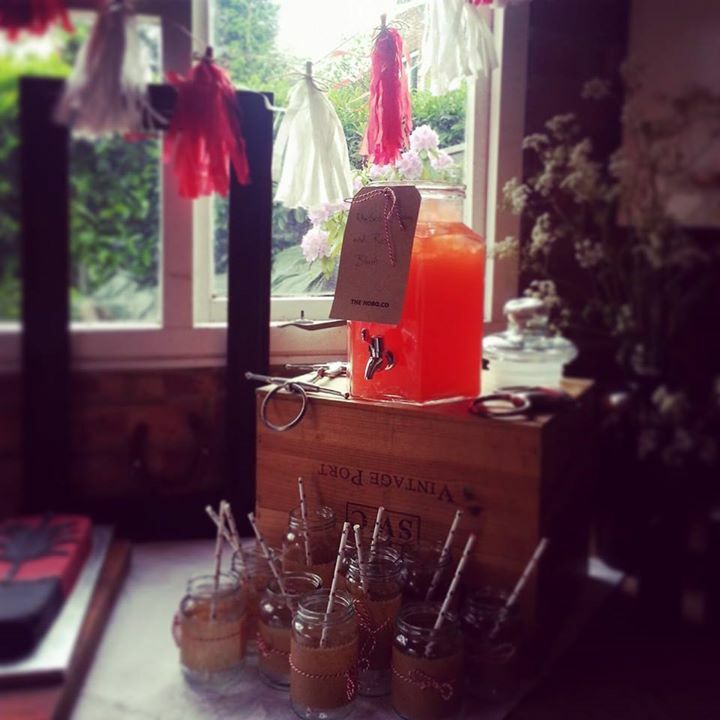 All washed down with our Rhubarb and Strawberry blush drink served in moonshine style jam jars. Who doesn't love Frozen?! 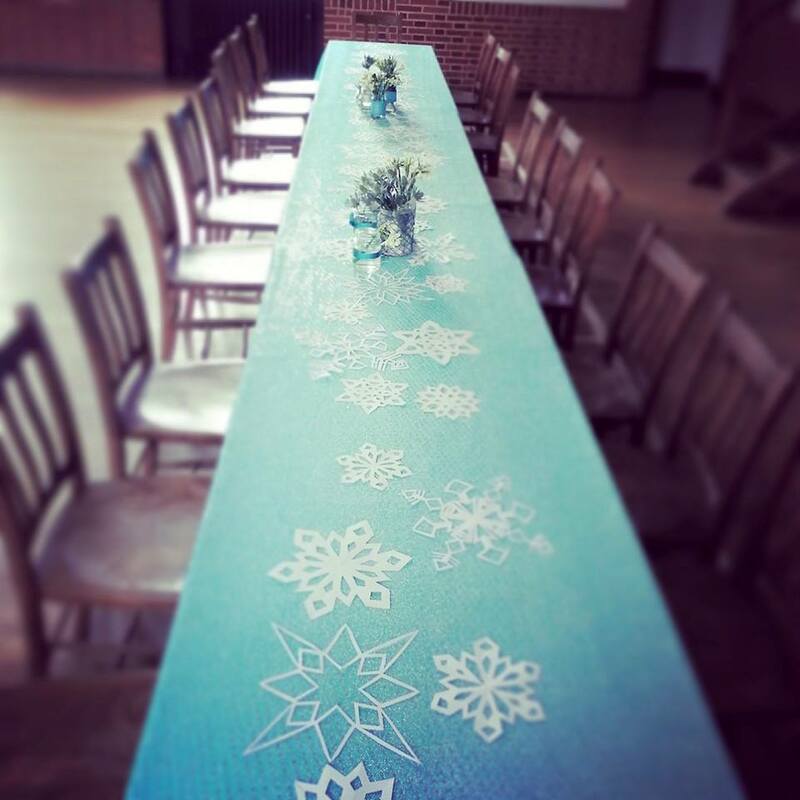 For this girl's special birthday we created a winter wonderland. Including hand cut snowflakes, fresh white flowers and glittering reindeer. The children's menu included pressed snowflake sandwiches and Norwegian meatballs, frozen snowball cake pops and snowflake jelly. Not forgetting the adults - we included a Scandinavian smorgasbord of gravadlax, cured meats and pickles to keep spirits up ( or perhaps that was the prosecco?!). For this 6th birthday party, the theme was Alice in Wonderland - a great excuse for us to go mad for a Hatter's tea party! Painted roses, a croquet lawn for a table cloth and tea pots filled with flowers set the scene. The menu included 'eat me' crudités and 'drink me' raspberry lemonade, as well as playing card styled sandwiches and pizzatinis. Pudding included jelly and cream served in vintage tea cups and cake pops to take home. A truly mad time was had by all! Welcoming a new person into the world is a really special day, and we love to make it a treat for the whole family. We can serve your guests our wholesome canapés, arrange a sumptuous buffet, and provide coffee and drinks to mark the celebration. Christenings call for something delicate, sophisticated yet informal, and such a special day deserves more than a plate of sandwiches and a few balloons. Make the day extra memorable, and less stressful for mum and dad by letting The Hobo take care of everything. We can provide delicious seasonal bites and delectable buffets to really spoil you and your guests. 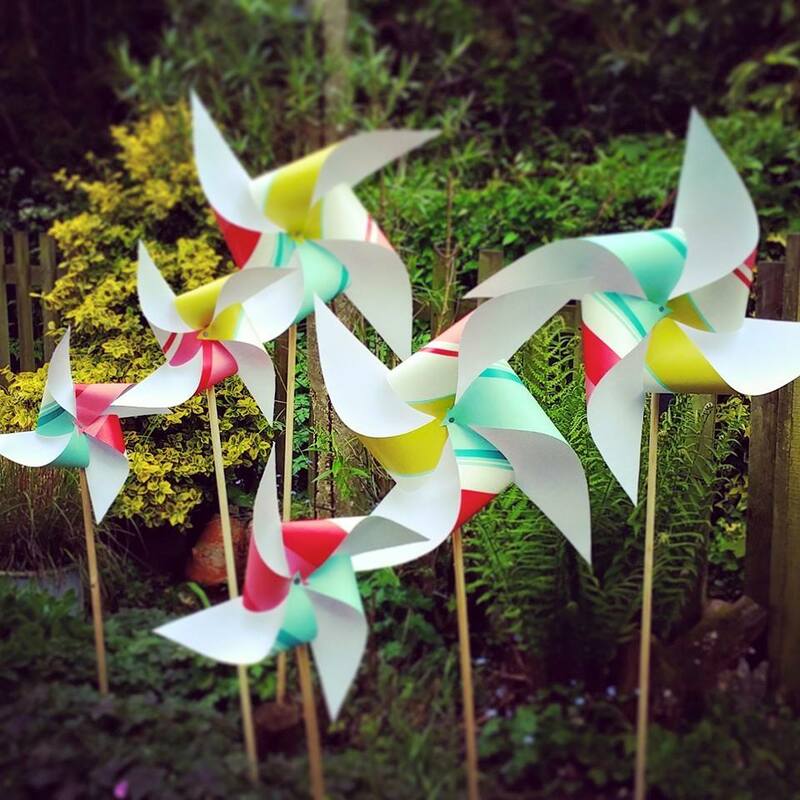 We can also provide our handmade decorations, including colour coordinated pom poms and giant pin wheels to really make your venue come alive. We'll even bring the crockery and glasses so you won't need to worry about the washing up! Barn dance? Midsummer party? Birthday Bonanza? We've done them all and we love a good knees up! 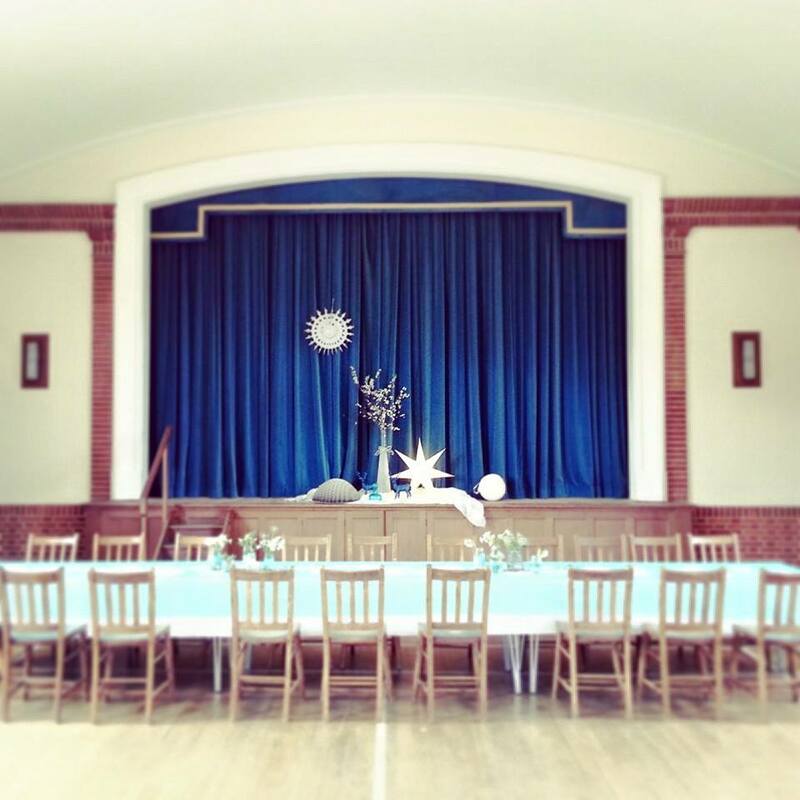 We can provide full hot catering for all your guests to keep them dancing into the small hours. Fancy something a bit more intimate? How about a sit down dinner with a delicious bespoke seasonal menu? Whatever you've got in mind, we will work with you put on a real feast. See a sample of some of our menus below and get in touch to discuss how we can be part of your special event. lamb, almond and apricot tajine served with jewelled tabouleh and flatbreads. braised beef, paprika and sweet pepper goulash served with white cabbage, crushed walnuts and a hunk of rye bread. chicken thigh, chorizo, butter bean and tarragon cassoulet served with baked polenta mash. scottish salmon, infused with lemon, fennel, sea salt and cracked black pepper served fresh from the grill. a whole fillet of beef marinated in garlic, rosemary and thyme, grilled to perfection. fresh lobster halved, dressed with lemon and tarragon butter. whole fillet of beef, chestnut mushrooms, madera wine, proscuitto wrapped in puff pastry. Honey and mustard glazed ham studded with cloves. poached scottish salmon dressed with cucumber, lemon and dill. Sweet roast red pepper, red onion, and barlotti beans dresed with an olive oil and balsamic reduction. chopped beetroot, grated carrot, crumbled feta, sunflower seeds and a drizzle of lemon. shredded celeriac, sliced apples and scattered walnuts in a yoghurt dressing.